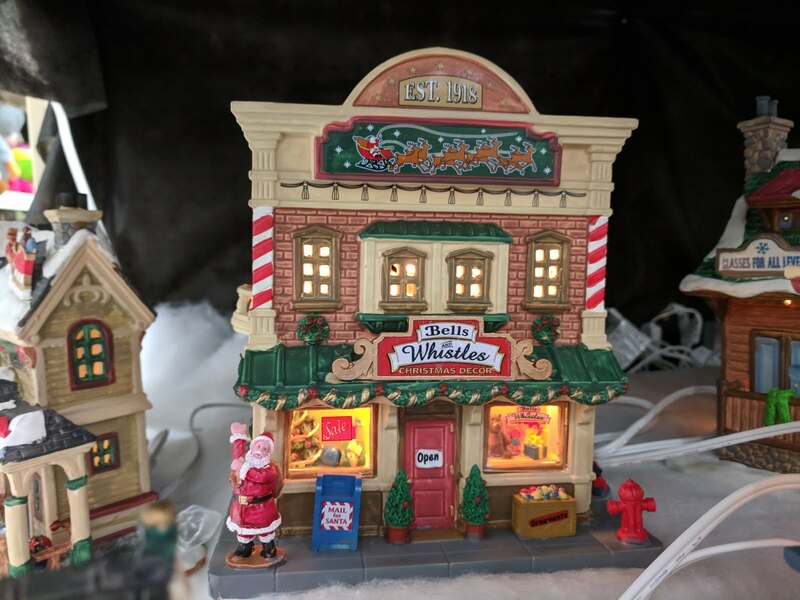 Look who is coming along for the ride with the new Bells & Whistles Christmas Decor building from Lemax at Menards this year? That's right...Santa Claus himself! That might sway the Mayor of Mantleburg, I would think? This one is also part of the Caddington Village collection like the past few days that included the Vintage Grind Coffee Company and The Dog House. Or...we actually set up Mantleburg for the first time in three years. One or the other.